Try a printable science activity that focuses on learning geological vocabulary. Try a printable science activity that focuses on classifying rocks. 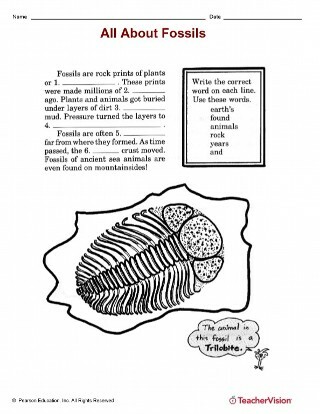 Use a printable that contains several geology-related art projects for students. Create geodes that simulate ones found in nature. Students must recall geology facts to play a board game.